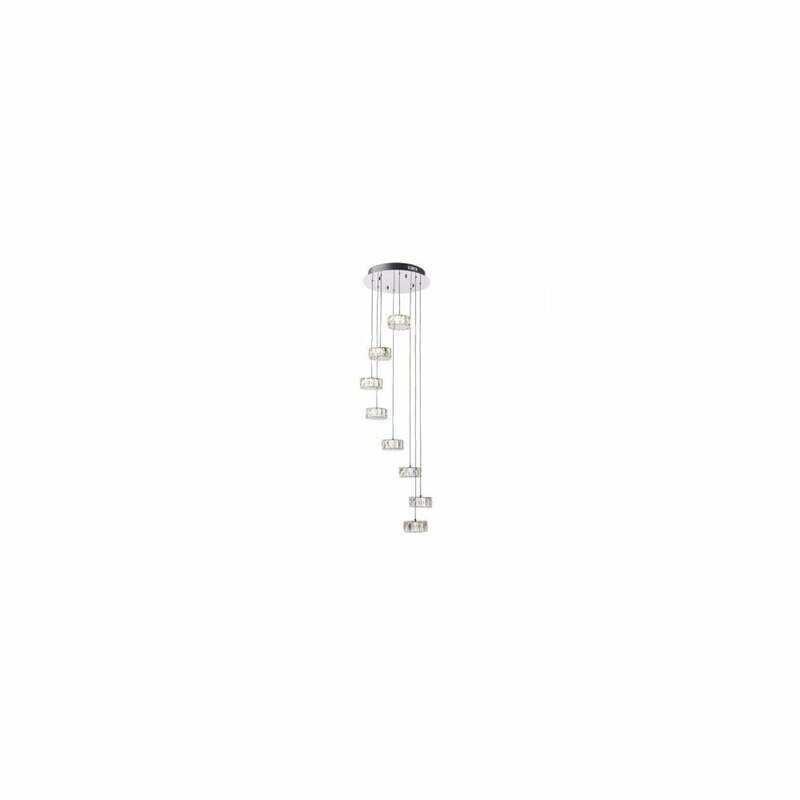 Endon Prisma 8 light LED ceiling pendant features a stunning display of faceted crystal shades suspended at varying heights from a polished chrome circular ceiling plate. This truly stunning light fitting is ideal for stairwells and for rooms with high ceilings as it provides a magical focus point and reflects the light beautifully. Height adjustable at the point of installation and energy efficient due to integrated cool white LED's which provide 5000 lumens. Comes complete with a 2 year warranty. A larger 16 light fitting is also available to match.